Part I of this book explores the economists debate over the relative costs of the two health care systems. Part II explores the debate about access and quality of outcomes in the U.S. and Canadian systems. 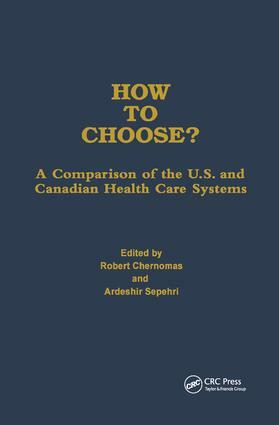 Part III of this book incorporates surveys and debate on the U.S. and Canadian health care systems in terms of satisfaction, interest, and willingness to accept either the U.S. market-driven system or the Canadian single-payer system. Robert Chernomas is Professor of Economics at, Department of Economics, University of Manitoba.